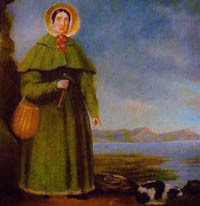 The “Princess of Paleontology” Mary Anning’s lifetime of work (1799-1847) uncovering fossils of the ichthyosaur, plesiosaur, pterosaur and others provided the evidence that species did go extinct, disappearing from the Earth forever; although, many scientists of the time had difficulty grasping the possibility. The idea that species could vanish from the Earth forever evoked cognitive dissonance when paired up with the idea of a creator. When we revolve in our minds the metamorphoses of animals, as from the tadpole to the frog; secondly, the changes produced by artificial cultivation, as in the breeds of horses, dogs and sheep; thirdly, the changes produced by conditions of climate and season, as in the sheep of warm climates being covered with hair instead of wool, and the hares and partridges of northern climates becoming white in winter; when, further, we observe the changes of structure produced by habit, as shewn especially by men of different occupations; or the changes produced by artificial mutilation and prenatal influences, as in the crossing of species and production of monsters: fourth, when we observe the essential unity of plan in all warmblooded animals, we are led to conclude that they have been alike produced from a single living filament. 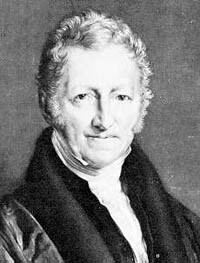 In every animal which has not passed the limit of its development, a more frequent and continuous use of any organ gradually strengthens, develops and enlarges that organ, and gives it a power proportional to the length of time it has been so used; while the permanent disuse of any organ imperceptibly weakens and deteriorates it, and progressively diminishes its functional capacity, until it finally disappears. 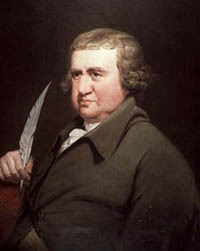 All the acquisitions or losses wrought by nature on individuals, through the influence of the environment in which their race has long been placed, and hence through the influence of the predominant use or permanent disuse of any organ; all these are preserved by reproduction to the new individuals which arise, provided that the acquired modifications are common to both sexes, or at least to the individuals which produce the young. The power of population is so superior to the power of the earth to produce subsistence for man, that premature death must in some shape or other visit the human race… sickly seasons, epidemics, pestilence, and plague advance in terrific array, and sweep off their thousands and tens of thousands… gigantic inevitable famine stalks in the rear, and with one mighty blow levels the population with the food of the world. Darwin didn’t discover the similarities in structures among species. The same number of bones in a human hand was in a whale’s fin as any naturalist could see. Darwin didn’t discover evolution. Any scientist of his worth from Darwin’s time and slightly before it, understood the concepts of inheritance and adaptability of species on a great enough scale to see the big picture: species change over time and adapt remarkably to their environments. Darwin didn’t figure out that species compete for limited resources. Economists knew this fact very well already for the human animal as well as those in the wild. Darwin even presented his idea alongside Alfred Russel Wallace, who independently arrived at nearly the same conclusion. What Darwin did was put it all together into a natural law. Natural Selection, no invisible creator’s hand to shape it, no species guiding their own adaptations, and no divine plan selecting the chosen from the rest. Natural Selection is simply an algorithm that explains how life, powered by the sun, grows more complex, specialized, and diverse over time. If Darwin hadn’t discovered it, someone else would have. This simple algorithm was the truth everyone of the time was approaching. It not only built upon all the wisdom that had come before it, but predicted the discoveries that would follow, the chains of fossils, outlining the gradual changes in the species, and the existence of a mechanism by which traits would be passed along, which Gregor Mendel would later figure out with genetics. 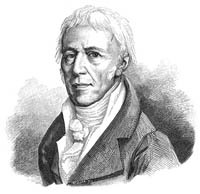 So here’s to Charels Darwin, a man with the courage to publish ideas he knew were controversial, because the truth is truth whether you accept it or not. Here’s to all the naturalists who laid the groundwork for Darwin’s idea, and here’s to all the scientists who have expanded and refined the theory. People like Daniel Dennet, Richard Dawkins, Stephen J. Gould, Genetic Algorithm Programmers, Biologists, doctors dealing with bacterial resistance, and others are all standing on the shoulders of the giant, Charles Darwin. And what does Charles Darwin stand on? As we can see, it’s giants all the way down. Happy 200th Birthday Charles Darwin and happy Darwin Day. “Princess of Paleontology” has a pretty darn good ring to it too.